Innovative personalization is taking it to the next level. No longer do recommendations need to be based on your entire customer base. Instead, personalization acknowledges that each customer is an individual. Right from that first click, personalization learns your customer’s unique interests and preferences. It understands what your customer likes, accurately predicts what they will want and ensures every recommendation is personally relevant to each customer. Getting a personalization strategy right for your business is crucial to avoid losing customers and sales. Learn how online retailer American Soda grew revenue from their website from recommendations by 175%. 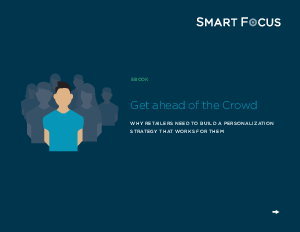 Find out how to build a personalization strategy that works best for you.